Stephen Henry Masters was born in Gosport, Hampshire on the 29th January 1862. 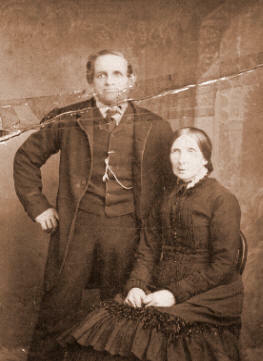 His parents, George Masters b.1831 and Eliza Masters nee Phippard b.1832, were both natives of Swanage, Dorset. Stephen was the third child of four. 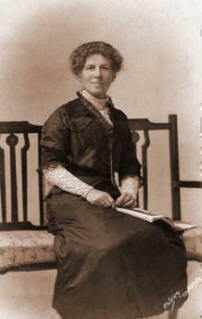 Amelia was born 1858, Ann 1860, Stephen 1862 and younger brother Frederick born later in 1864. It is not clear when or why George moved to Hampshire but he married Eliza in Portsea, Portsmouth in 1856. As a labourer and brick layer, he possibly moved to the city for work with most of his family remaining in Swanage. His two brothers Joseph and William eventually became Mariners but sadly William drowned in a storm in December 1877 leaving his wife Mary Jane and four children. George Master's brother Joseph Manwell Masters went on to become a Master Mariner and two of his sons followed in his footsteps, Albert born in 1867 and Walter Stephen in 1872. According to the 1911 Census, Albert, Joseph’s son and Stephen Henry’s cousin, was recorded as being Chief Fishery Officer and Committee Leader of County Council of Dorset, Hants. and the Isle of Wight. His headstone in Northbrook cemetery reads Albert Frederick Masters O.B.E. Walter found time for the Royal National Life Boat Institute and in 1924 became Coxswain of the Swanage Lifeboat, The Herbert Sturmy. It seems that unlike his uncles or cousins, the young Stephen Henry was not destined for a life at sea, nor to follow in his father’s footsteps. Instead he favoured the profession of his maternal grandfather George Phippard and his Phippard uncles. The Phippards came from a long line of stone masons and when he died, John Phippard, Stephen’s grt. grt. grandfather bequeathed his quarry, inherited from his mother Ann, to all his children. apprentice stonemason to his uncle Moses Phippard [Click on Indenture thumbnail]. Amelia Charlotte Masters [neeStewart] On July 30th 1887 Stephen Henry Masters married Amelia Charlotte Stewart in The Parish Church, Southsea, Portsmouth. Amelia was born on the 2nd June 1863 in Portsea, Portsmouth. Her father William, a gardener and florist, was born in Lambeth Surrey in 1819, and her mother Sarah Stewart nee Court was born in Godalming in 1823. 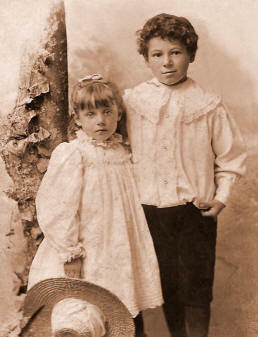 The two older children William born 1851, and Harriett 1853 were also born in Godalming. It seems that somewhere between the 1851 and 1861 Census the family moved to Portsmouth. Stephen Henry was apparently a stickler for punctuality and routine, and early in their married life so the story goes, had informed his new bride Amelia that he expected his lunch on the table at 12 noon every day. She complied with his wishes, but it is also important to bear in mind that my grt. grandmother was no pushover. One day when her husband was late home, he was not just a little baffled to see Amelia marching down the road with his plated lunch in her hand. According to Granny Emma, harmony was restored after this. On the 4th February 1889 Amelia and Stephen’s first child Claud Stephen was born at 29 Hudson Road, Southsea and in 1891 his sister Amy was born. It is perhaps possible that Stephen Henry’s mother-in-law was around to help with the new baby since she was staying at his home in Manners Road, Portsmouth according to the 1891 Census. Meanwhile, their son Claud was staying with his paternal grandparents George and Eliza Masters at 39 Hudson Road, Portsmouth where his cousins George (14) and Susan Barrow (11) were also staying and their mother Amelia Barrow nee Masters, who at 33 years of age and already a widow, was possibly living with her parents but working as a stay maker. Also living in the house, was Stephen's sister Ann, a dressmaker and at 31 years of age, still single. Claud was an able pupil at school but he chose to work with his hands and followed his father into the dockyard, though not as a stonemason but as a carpenter/joiner. He started his apprenticeship aged 15yrs on December 29, 1904. On the 5th January 1905 tragedy struck. Claud’s father Stephen Henry was knocked into a dry dock by a crane in Devonport Dockyard. He sustained a fracture at the base of the skull and died of his injuries. It was a terrible blow to a boy just starting out in life, and a great trauma for the whole family. Claud was now the bread winner but it wasn’t too long before his mother Amelia went back to her profession of dressmaking to supplement the earnings. Stephen Henry would have been proud of his two children. Amy eventually married Victor Hull a school master on August 21, 1915. Before the outbreak of WW1, Claud was engaged to Emma Errington, a piano teacher. Emma was born in Hastings on September 10th 1889. Claud was working full time in a reserved occupation in the dockyard and in his spare time was a Territorial Army Sergeant and despite this he enlisted. Claud married his Emma in 1918 after he returned from India. 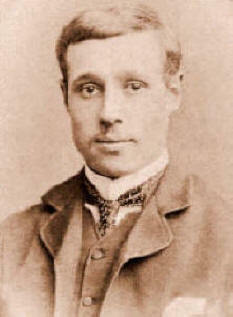 Emma’s father Thomas William Errington, a tin smith from London, moved his family to Hastings and then to Portsmouth where he set up business as bakery outfitters. During WW1 and WW2 ‘Erringtons’ manufactured items for the war effort. When Thomas Errington died in 1926, the business passed onto his three children Tom, Will and Emma. The two brothers eventually bought Emma out and ‘Erringtons’ continued in business in Portsmouth until it closed in the early 1990’s. Amelia Masters nee Stewart outlived her unfortunate husband Stephen Henry by 47yrs, living to the grand age of 88 years. 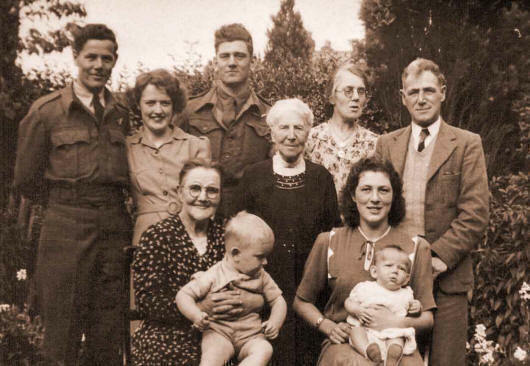 She died in 1951, but not before she saw the birth of her four grandchildren and her seven great grandchildren. The occupations of Stephen Henry’s descendants are many and varied and whilst nobody became a stonemason, his legacy was that many of the male Masters clan were very gifted in working with their hands, albeit as a hobby in some cases. Another legacy is the name Stephen, which is held to this day by two of his grt. grt. grandsons and the name has been part of the Masters family for at least 200yrs, and possibly longer.